Another year of AFI FEST is over, 83 features and 36 shorts screened across eight days. This year I highlighted 33 films as high priority, set out to see 25 and ended up seeing 17. In order to give a fair amount of coverage to all 17 films viewed, I've decided to break the festival down by day(s) including short reviews for each film. Below you'll find my coverage for the third day of AFI FEST 2013. 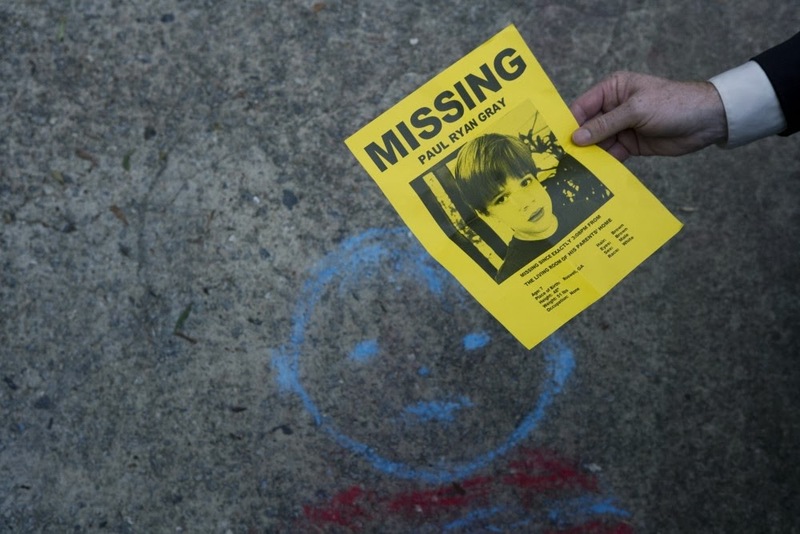 Director Mike Brune took a few good ideas poking fun at police procedures that would have made for an excellent short, yet awkwardly stretched them out into a 90-minute feature about a missing child. When I say awkward, I definitely mean it. The opening scene is so abrupt the audience doesn't even realize they are supposed to be laughing. The dialogue and performances are purposefully clumsy and it takes some time for the audience to adjust. Imagine The Naked Gun-type humor totally slowed down on a morphine drip. There are however, some great bits that work very well. Stuff that had me bursting out with laughter. Much of what plays out in this missing child case is exaggerated to the tenth degree, so expect it to be real hit or miss with audiences. John Curran delivers the laughs as Detective Dan Skok. Unfortunately Brune undercuts Curran's performance by repeatedly using long takes on the most mundane processes. Ultimately "Congratulations!" needed some strong editing choices that could have saved the audience from so many repeated shots and tasks that could have been cut from the comedy. 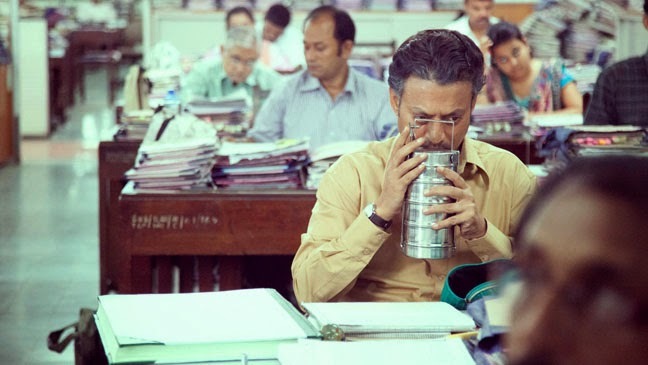 "The Lunchbox" is a real crowd pleaser that reminds us all how vital communication is in our lives. Writer and director Ritesh Batra does an excellent job weaving a film that houses an entire cast of full characters with engaging interactions. Interactions that are infectious, that the audience wants to see more of. It helps that the lead role of Saajan is played by Irrfan Khan, who is always magnetic on screen. Khan's co-stars all deliver well-rounded portrayals that leave the audience wanting the best of each them. The drama has a very alluring nature to both its plot, its characters, and the food being created and consumed throughout. About the food, "The Lunchbox" hammers home a real passion for food, how good food can affect our lives. Food and the quality of it, has a rejuvenating aspect and this film displays that in beautiful fashion. Not just in the food on display, but more importantly through its main characters. I'll be damned if you don't walk out of this film and want to eat Indian cuisine immediately or at the very least, eat your own personal comfort food. Like a great restaurant or meal, "The Lunchbox" is the type of film you'll want to share with others. Like a great story or conversation, it is the type of movie that you will want watch again and again. It is a film about friendship. It is a film about rejuvenation. It is a film about finding pride in our own lives. It is a film about fulfillment. Most of all, it is a film that leaves the audience perfectly satisfied. There is an apparent admiration for crime thrillers on display in "We Gotta Get Out of This Place" that elevates the simple drama into a well crafted tale of uncertainty. It is evident that Rough & Tumble Films have done their homework when it comes to the art of a taut tale centering around criminal activities. The no-escape thriller toes unpredictability and suspicion using a threatening build up to a tenacious finale. There's a refined quality to the mood and setting that matches the aggressive nature of the close-shave drama. Part of the lure is its decoy, set in a small time Texas town under the heat of Summer, the audience feels the plight of the central characters almost immediately. The viewer wants nothing more to see them escape their dead-end existence. Mark Pellegrino portrays the kind of intimidating thug you'd want to steer clear of as Giff. Pellegrino furthermore controls each of his scenes with frightening accuracy. Mackenzie Davis as Sue is the driving force of the three teens on screen but also the inspiration of hope for their escape. There is a raw energy to Davis' performance as Sue that could easily leave audiences swooning over her, just as B.J. and Bobby do throughout the film. "We Gotta Get Out of This Place" is a no frills cliffhanger that throws the audience into the position of the main characters allowing them to sweat out the uncertainty of their situations. There's a unstable build that keeps the audience fluctuating between panic and preparation culminating in a provocative payoff. This is a film for fans of crime dramas. This is also a film for audiences that need to see a well-executed thriller that doesn't necessarily have any big stars or names, but instead just a polished tale with genuine characters and tangible settings. It is a must see. Stay tuned for more breakdown of each day at AFI FEST 2013. Check out more coverage from Day One and Day Two.